3D Printing is 4th Industrial Revolution. 3D Printing has been called the way of the future, and the drawn of a new era in innovation, manufacturing and distribution (logistic and supply chain). 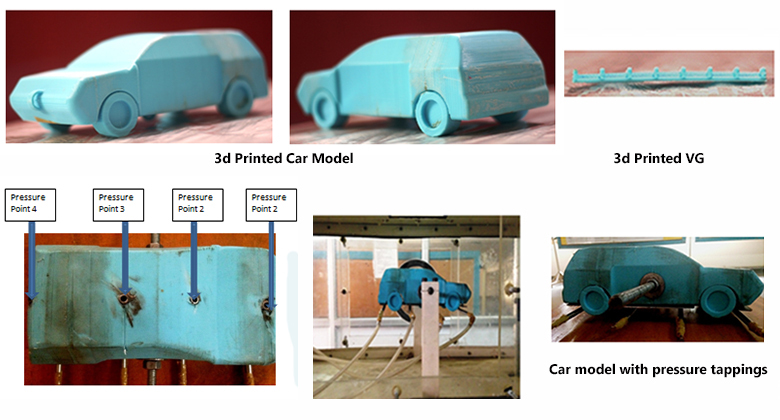 A team of researchers have experimenting with 3D printed in all industry. 3D Printed construction: This technology is capable of transforming the sector by lowering costs and reducing the time it takes to implement projects. It will also help reduce manpower requirements as well as waste generated which can be harmful to the environment. 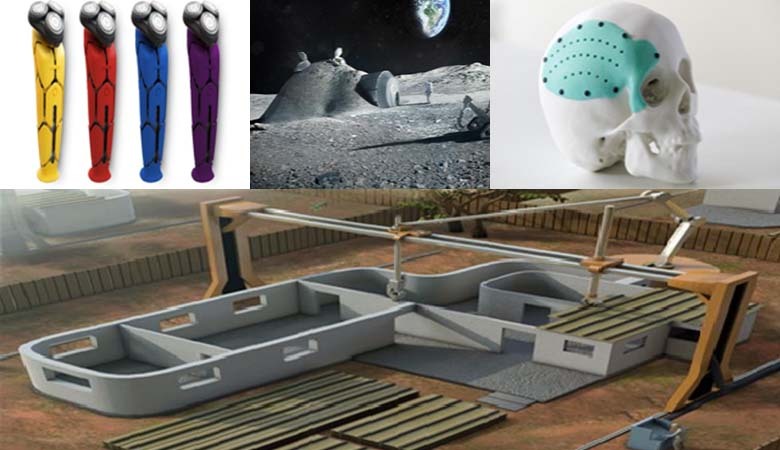 3D Printed Aerospace & Defense: 3D prints really open up the ability to print different functional or structural objects to make habitats beyond Earth. The 3D-printed has enabled the creation of more complex yet lighter parts at unbeatable costs, as well as freeing designers to explore complex shapes that could not be manufactured using traditional processes. Lower logistics and supply chain: It will reduced shipping and storage costs, potential elimination of import/export costs through localized production, elimination of new production tools and molds and costly modifications to factories. It can reduce complexity in manufacturing and helps to produce a variety of products from a single 3D printer. Healthcare 3D Printing Market size was valued over USD 450 million in 2016 with expectations to witness over 20% CAGR from 2017-2024. 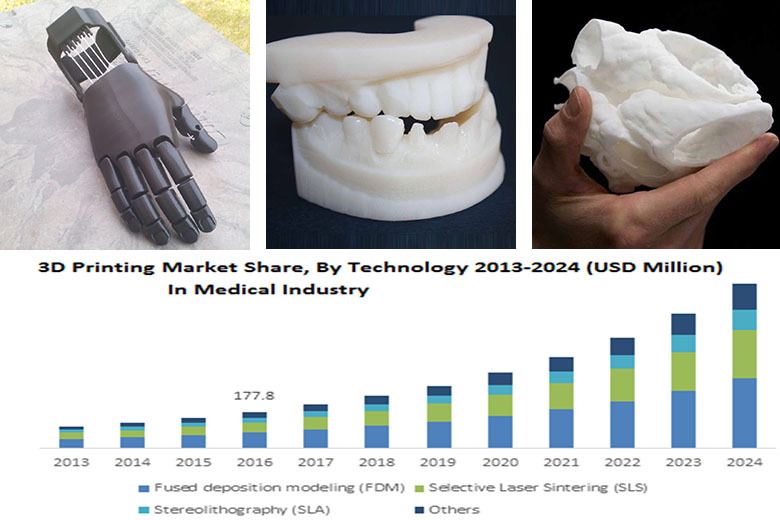 3D printing revolutionizing medical industry in many ways: Increasing demand for patient-specific dental, orthopedic and maxillofacial products drives market size. It improves productivity by reducing lead time and develops customized products to reduce wastage of materials. 3D Model is very useful in comprehensive surgery; it provides guidance and saves time of the surgeons in the operating room. For patient, it helps in understanding and gathering knowledge about the organ along with the surgical plan, which ultimately improves patient outcomes. Moreover with a 3D scan, dentists can 3D print plaster models, positioning trays, orthodontic appliances, clear aligners and retainers and they can totally digitize their workflow by reducing the molding time. 3D printed learning aids offer a more dynamic and tactile way for students to learn about "Viruses, which is very difficult to study, so with this 3D printing facility we can take information about their structure and print them at huge, massive scales so students can hold them, look at them, and understand that fine detail of structure that's associated with the disease”. Key challenges for the future of 3D printing in this industry will be to develop new materials and to improve the reactivity to create a made-to-measure implant in only a few hours to save patient-lives in an emergency situation. 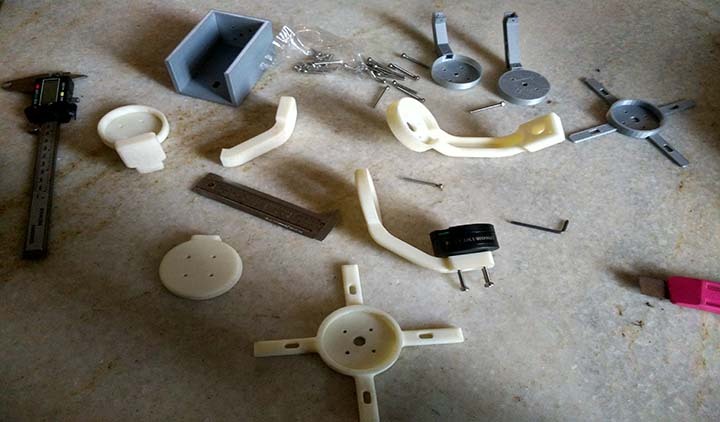 Since our last Blog many enthusiastic technocrats came to us who had amazing brain storming ideas on using 3d printed solutions in their projects. 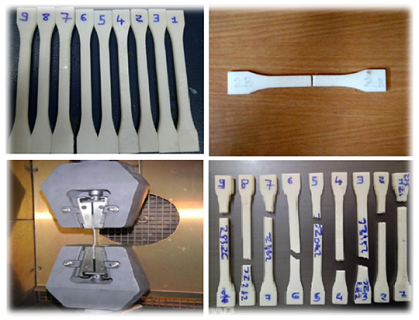 One of them was Mr.Shailesh Mali whosemain aim of his study was to determine the dimensional accuracy, flatness, and surface texture obtained in FDM rapid prototype with ABS (Acrylonitrile Butadiene Styrene) material. 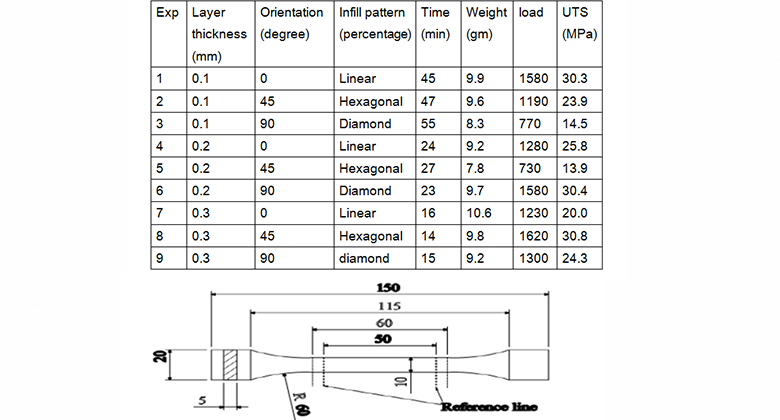 Main three parameter (layer thickness, orientation, and infill pattern) were changed in fused deposition modeling and different parameter like tensile strength, compressive strength, impact strength etc was analyzed. Tensile test specimens having dimensions 60 mm x 20 mm x 5 mm tests have been conducted by changing the infill patterns like linier, hexagonal and diamond for measuring Tensile strength (ASTMD 638). Parts are modeled and experiment is conducted as per ISO R527:1966 for tensile test. This test clearly shows that the effect of infill pattern ontensile strength of FDM specimen is very high. 2016 had too much to offer for our team at Vexmatech. In one year timeline, we grew our company from the startup phase to an establishment phase. With 3000+ sqft of high-end infrastructure we equipped ourselves with a state of the art R&D lab for developing new technologies. We also increased our 3d printing capacity that delivers a wide range of advance 3d printing materials for our customers. 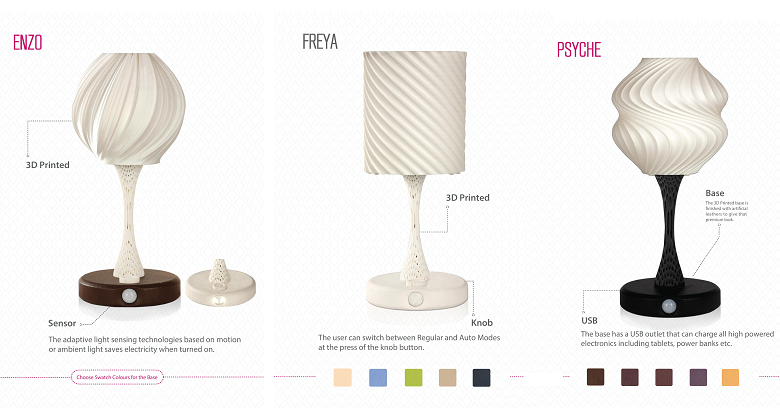 Our designing and embedded systems experts here have led us to the innovative yet artistic line of 3d Printed designer lamps. These one of a kind table lamps were made with an idea of fusing home décor with sensing technologies while keeping sustainability in mind. With Auto Sensing features and irrational designs, 3d printing enables these table lamps with a perfect balance of the desk lamp and a show lamps. With the birth of this new line of designer technology, we have a lot in store for 2017 with new features and new designs rolling out soon. Additive technologies has created a massive impact on rapid prototyping and rapid product development. We have seen a paradigm shift of R&D labs opting for 3d printing to prototype and test their product. It may be to test the ergonomics, design, scalability and many such features respective of their applications. Mrs. Sangeeta Das, a PHD student in Mechanical Engineering approached our Vexma Team to recreate a miniature prototype of Renault Duster. Her mid-semester presentation was to analyze an aerodynamic performance of a sport utility vehicle using CFD and wind tunnel experiment. She recreated a simplified version of the scaled down duster in CREO that we printed using FDM technology. With the model she was able to achieve exceptional results procuring subsonic wind tunnel specifications for the model. With her scaled model, we learned how rapid prototyping in automotive and aero industries are a crucial and undeniable segment of rapid product development. The curious case of Dolly Varden. It’s been a while since my last blog here but we’ve been jam packed, persistently working for people coming from all walks of life. The awareness is spreading and everyone want’s their hands on 3d printing.The Indian subcontinent is just starting to realize how to make use of this unrestricted borderless technology. From high profile government officers to the final year PHD students, we’ve been working with these amazing curious minds pushing our engineering creativity at the best. Once such project we got our hands on, is the Dolly Varden shipwreck project. Built in 1872 the boat was considered as the fastest sailboat for around 63 years. 150 years of age, the boat has been found and undergone reconstruction projects since last 25 years. 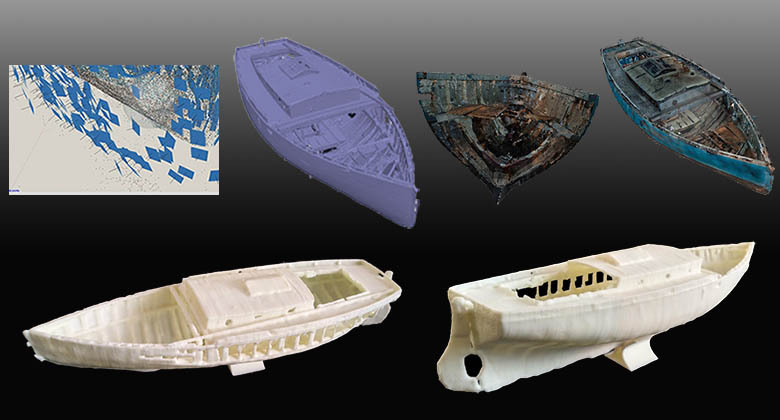 The shipwreck went through scanning expertise of Mr. Simon Brown from Deep3d – UK. We were lucky enough to be approached by him for constructing a 3d model out of his scans. After a week stitching the point cloud mesh and 15 hours of printing, volla! We had our hands on mini-me Dolly. Check her out at http://www.dollyvarden.co.uk/. We thank you Deep3d for this wonderful opportunity. It’s been more than a pleasure working in this innovative world of 3d industry. Thank you 2015! It's been just one year and Vexma Technologies already is one of the ranked 3d Printing solutions provider in the country. Google"3d printing services India". Since our last blog, too much has happened here. MNC’s like ABB and Bombardier have recognised the potential of this amazing technology and we have been their proud service providers. Although we are surprised with the amount of interests received from the emerging start-ups in the region. For them it’s a holy grail to test their Ideas. One such company named“Brewlocks”has a sleek Idea of avoiding drunk drivers taking over school buses, taxi cabs, transportation vehicles etc. It’s been an exciting journey designing and prototyping for them. Most of our startup-clients are trying to figure out the potential of IOT using embedded systems. And to ease their journey, we are rolling out with more services that will specifically cater embedded systems solutions.For more information, stay in touch! Another prototype & TTM reduction. “TTM” is the length of time required for a product to reach the market. Usually, this timeline is considered between the periods when an idea for a certain product is generated until the stage when it reaches the consumer market. Meaning reduction in TTM would create huge cost savings while gaining a competitive edge over others. TTM is extremely important for the corporations that heavily invest in the new product launch which is first-of-its kind. This is exactly how we helped Renovo Foods and Beverages LLP to get “Skinny” in the market. 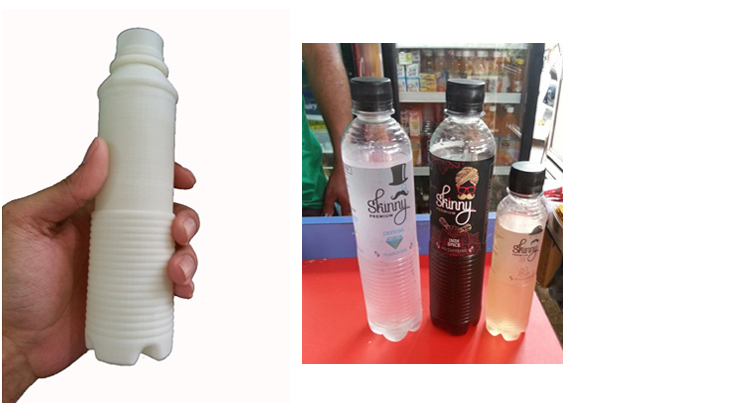 Skinny with its new innovative flavours is one of a kind thirst-quencher developed by Renovo Foods. We applied design modifications to their model, made a prototype under 24 hours and in less than 5 months period, we had skinny. This prototype helped them to gain feedback on ergonomics and reduced their TTM resulting in huge cost savings. Seeing our prototype in the local market was exciting and influential!